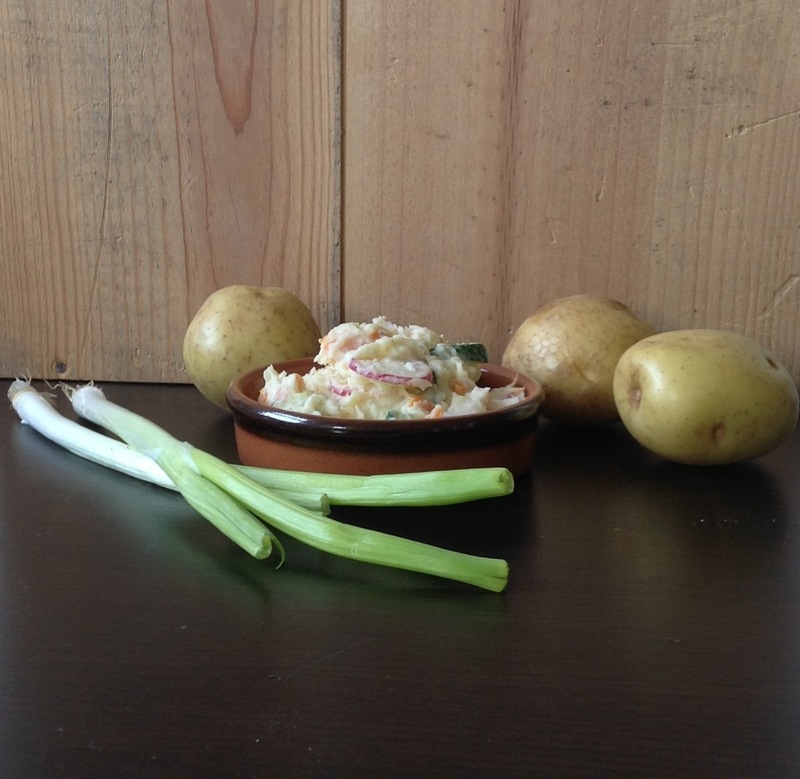 Sorry to all you low carb dieters out there – I feel for ya because this potato salad is so darn good. And it even better the next day – AS A SANDWICH FILLER. Yep, some hot carb on carb action! 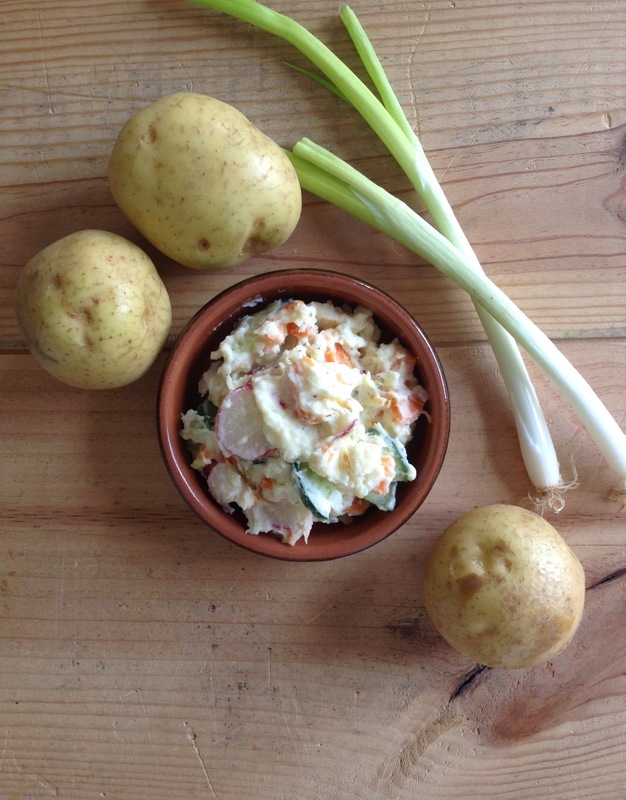 This potato salad is perfect for a potluck or picnic and it’s loved by everyone, from kids to adults. Trust me when I say it’s gone in an instant (so make sure to keep a stash for yourself at home). So I actually made this healthier by substituting some if the mayo with Greek yoghurt, but dont completely get rid of the mayo or it wont be the same! and don’t you dare use any of that Miracle Whip fat free stuff – thats a big no no! I also add lots of veggies to mine and its delicious with some ham or frankfurters thrown in! 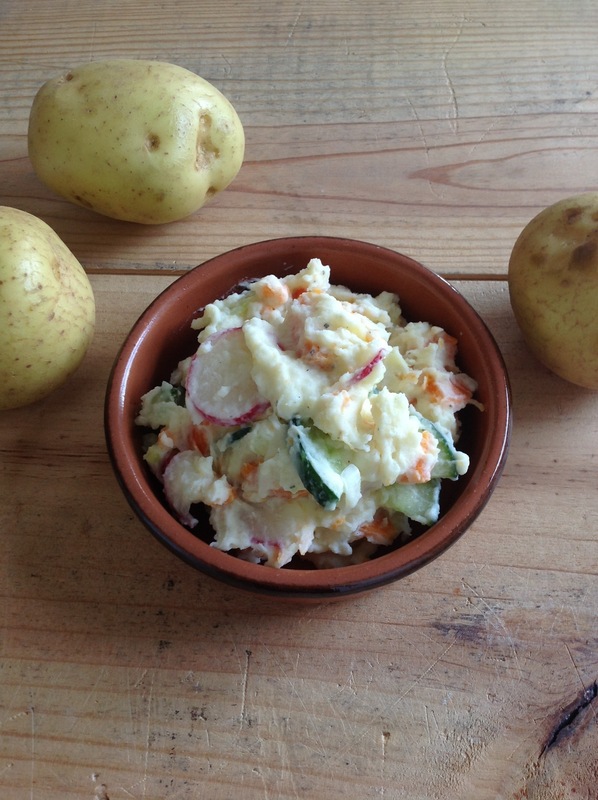 Cut potatoes into small chunks and cut carrots and cucumbers into thin half moon shapes. Cut spring onions into thin strips. Boil potatoes in salted water until soft (basically falling apart). In the last 5-10 minutes add chopped carrots. While this is happening generously coat cucumber slices with salt and after 10 minutes, squeeze to drain out excess water. Drain potatoes and remove carrots and add a splash of vinegar to potatoes. Wait to cool then mash until desired smoothness (I prefer them to be like mashed potatoes, but others like them with small chunks). Add chopped ingredients and stir in. Add yoghurt and mayonnaise and season generously with salt and add pepper to taste. Serve straight away or put in fridge for later.